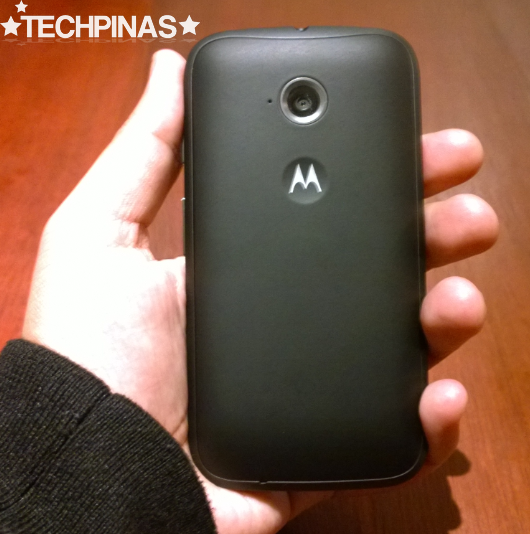 I've just arrived home from an intimate gathering with other tech bloggers and members of the media at Capitol Commons in Pasig City for the relaunch of Motorola Philippines. I believe it was in 2009 when the American handset company started to mellow down its operations in our country as sales of its devices started to dwindle due - in part - to the rising popularity of the Apple iPhone as well as Samsung Galaxy Android smartphones. 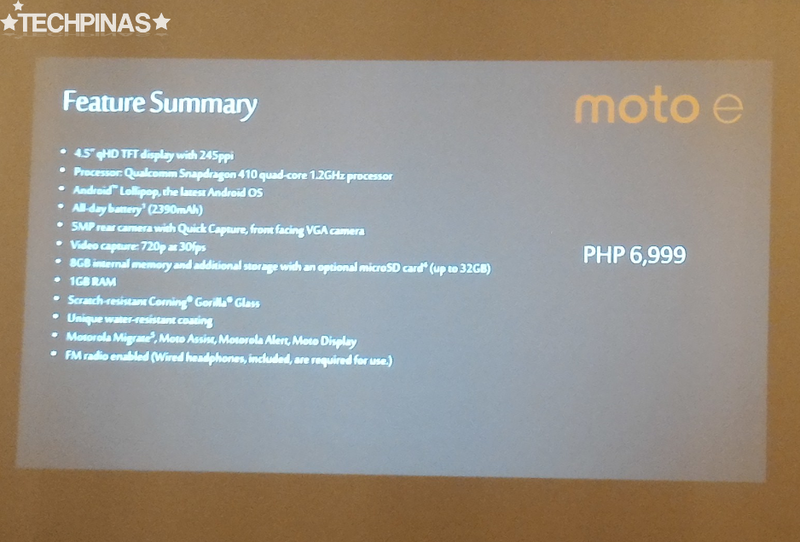 This year, thanks to Lenovo's recent acquisition of Moto's mobile devices business (Motorola Mobility), the legendary phone brand - that's perhaps best known for its ultra-popular Razr line - has made its way back to the Philippines where its new parent-company is currently working on further strengthening its presence. Meet Mr. Dino Roman. 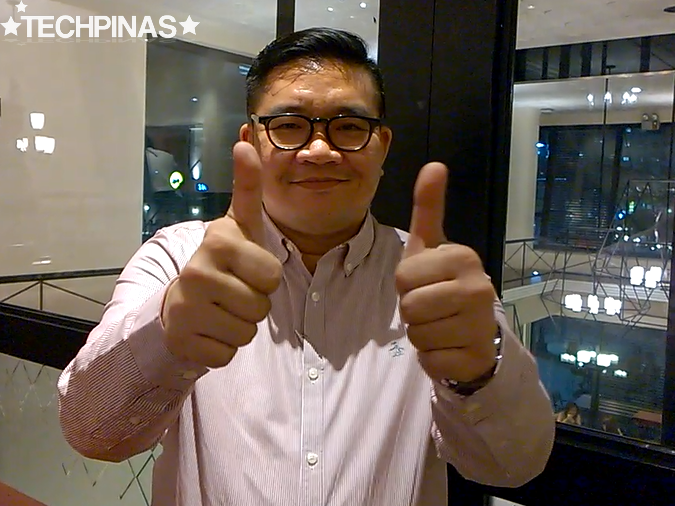 He is the Country Head of Moto PH and he graciously granted me an interview after the event. Stay tuned for that Youtube clip, TP Friends! He's a great guy. 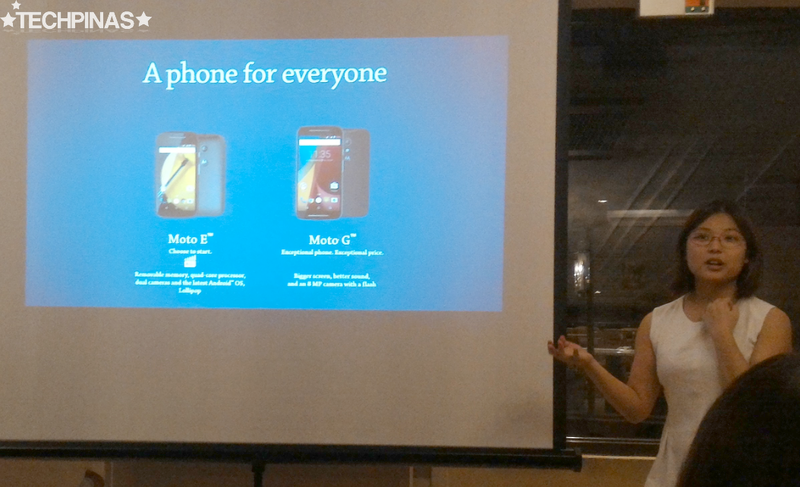 Before we had our sumptuous dinner at Sentro 1771, Mr. Vincent dela Cruz and Ms. Faustine Co introduced the three Motorola Android smartphones that the company will be launching locally before the end of this month, July 2015. 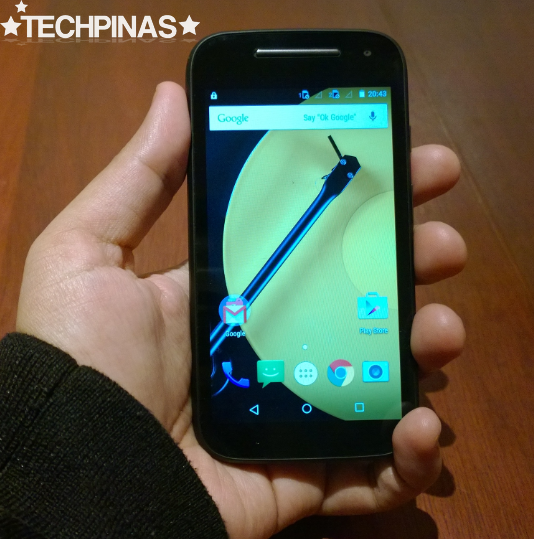 For the entry-level category, the company is bringing in the second generation Moto E, which is priced at only Php 6,999. Some of its key features include the 4.5-inch 540 x 960 pixels qHD display underneath scratch-resistant Gorilla Glass 3 touchscreen, Quad Core 1.2 GHz Cortex-A53 and Android 306 based Qualcomm Snapdragon 410 chipset, 1GB of RAM, 8GB of expandable storage, 5 MegaPixel autofocus camera sans LED flash, VGA front cam, LTE connectivity support, and 2,390 mAh battery pack. 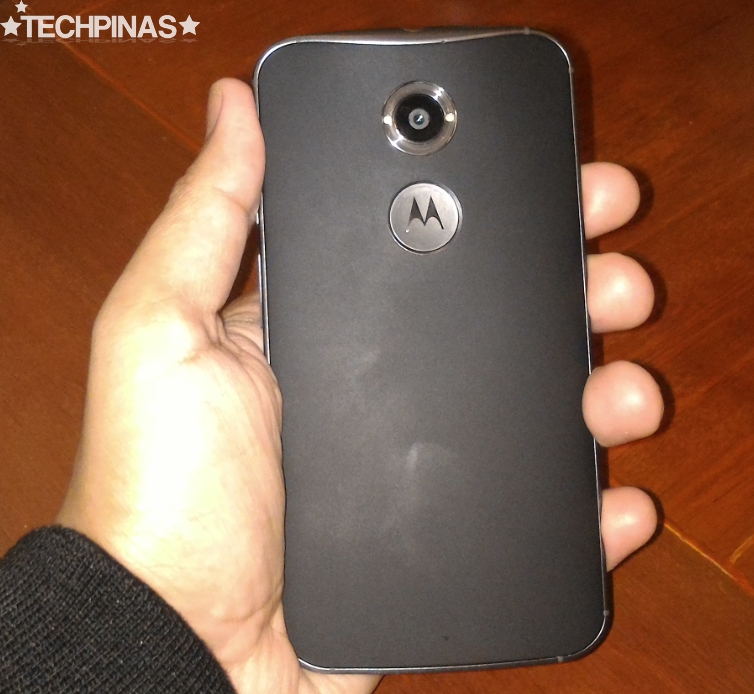 The curved back plate is removable, giving access to the microSIM and microSD card slots. The phone's battery, however, is non-removable. 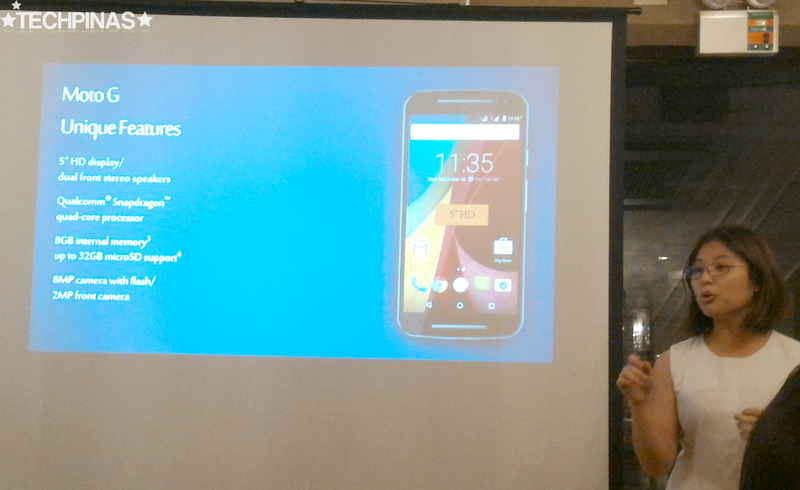 With SRP of Php 8,499, the 2nd Gen Moto G is the company's initial midrange offering. This one has a 5-inch 1280 x 720 pixels HD IPS display that's also protected by Gorilla Glass 3, an 8 MegaPixel autofocus camera with LED flash, 2 MP front cam for selfies, HD video recorder, 3G HSPA+ support, and a non-removable 2,070 mAh battery pack. 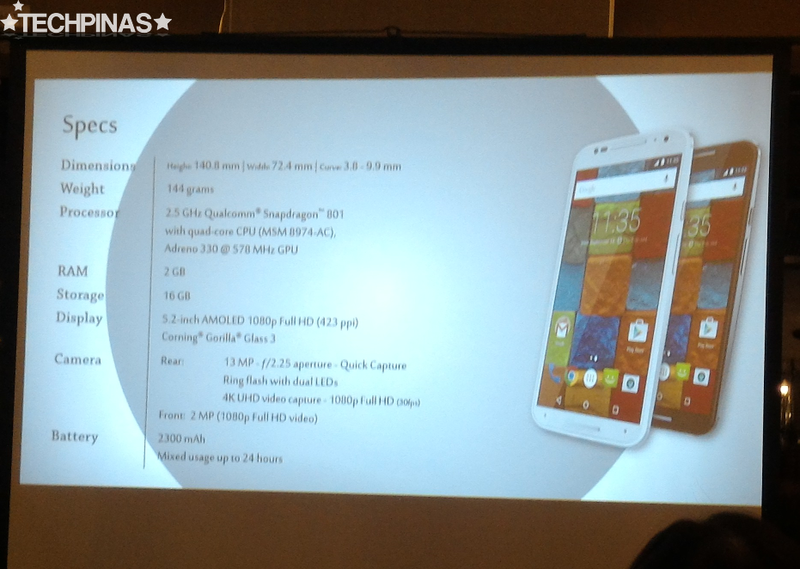 Under the hood, it runs Android Lollipop with a Quad Core 1.2 GHz ARM Cortex-A7 and Adreno 305 based Qualcomm MSM8226 Snapdragon 400 SoC, has 1 GB of RAM, and 8 GB of expandable storage. 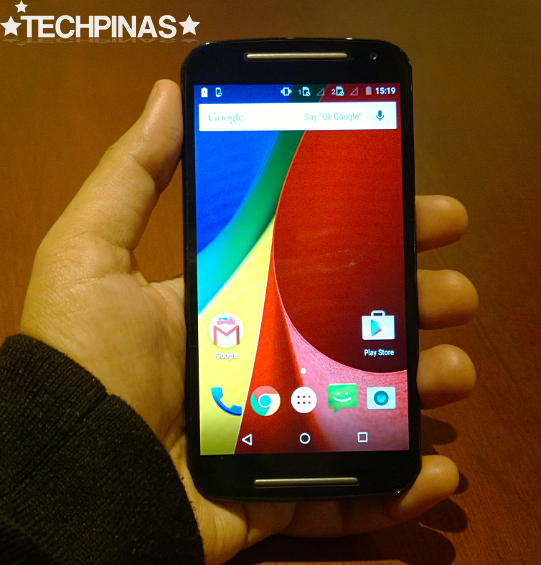 And finally, there's the second generation Moto X flagship-level release that dons that an official price tag of Php 16,999. 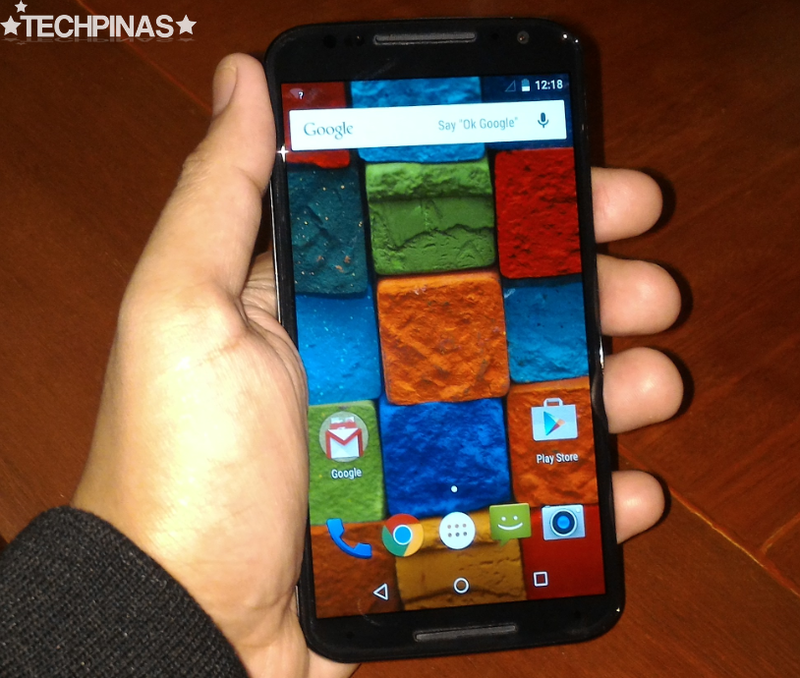 Moto X sports a 5.2 inch 1080 x 1920 pixels Full HD IPS display also protected by Gorilla Glass 3, 13 MegaPixel autofocus camera with circular LED flash, 2 MegaPixel selfie cam, 4K video recorder, non-removable 2,300 mAh Li-Ion battery pack, 4G LTE connectivity support, Quad Core 2.5 GHz Krait 400 and Adreno 330 based Qualcomm MSM8974AC Snapdragon 801 chipset running Android Lollipop, 2GB of RAM, and 16 GB of internal storage. 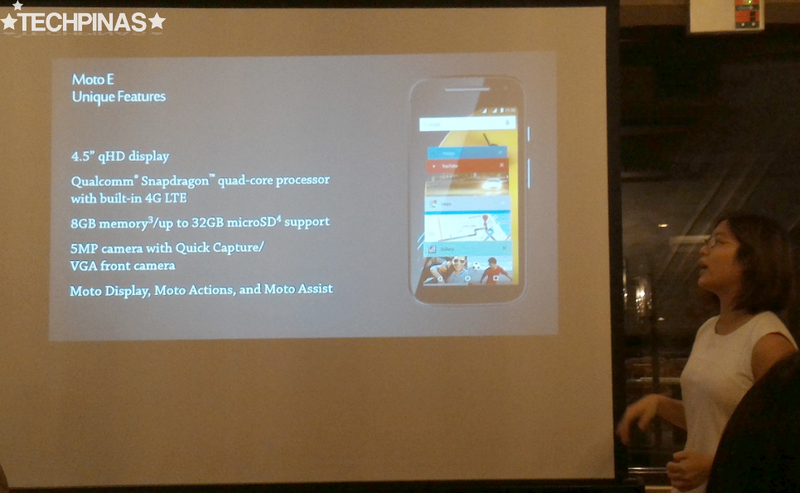 Moto X flaunts a very premium design identity and construction. The spill-resistant shell features a luxurious aluminum side frame, a curved polycarbonate back plate with rubbery, matte finish that feels great to the touch, along with real metal buttons and design accents. 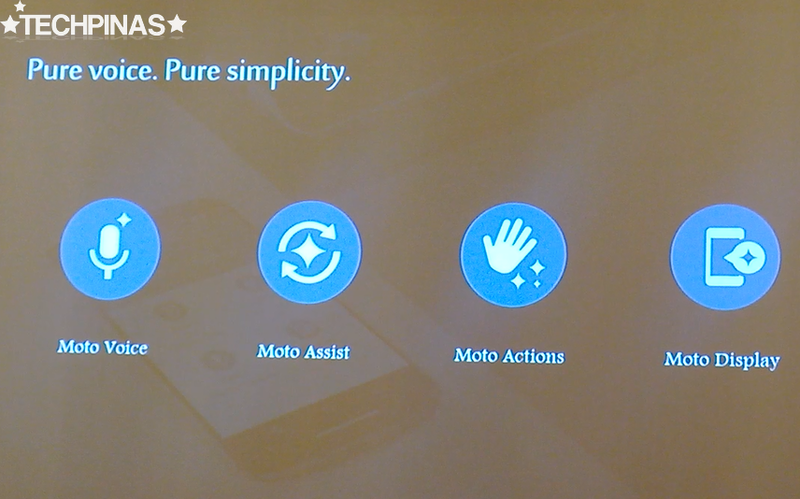 Motorola adds a very thin layer of skin on top of each Moto model's Android operating system, which includes software enhancements and optimizations - like Moto Assist and Moto Voice - providing a more intuitive and enjoyable mobile experience. More about these in future TP posts. As a tech blogger, I'm always happy to see new players entering the Philippine market to give consumers more options when purchasing gadgets. 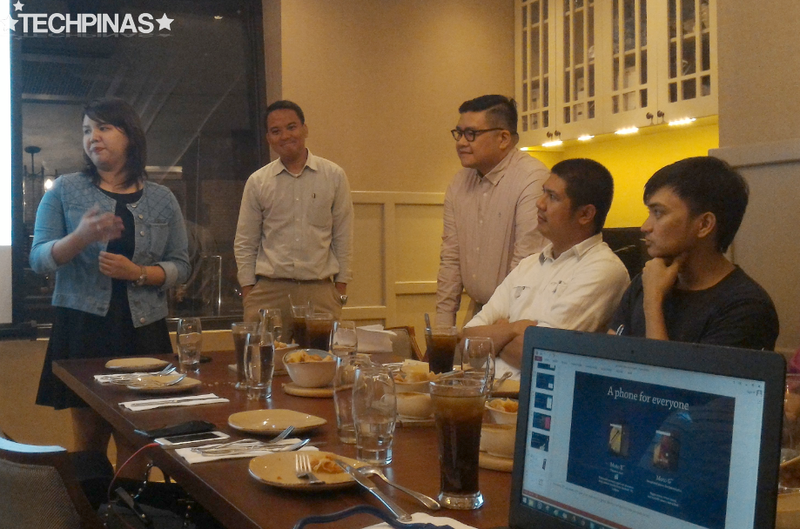 Like what I always say, I'm always on the side of Pinoy consumers and I know that tight competition among companies is what will give all us the best products for our hard-earned money. 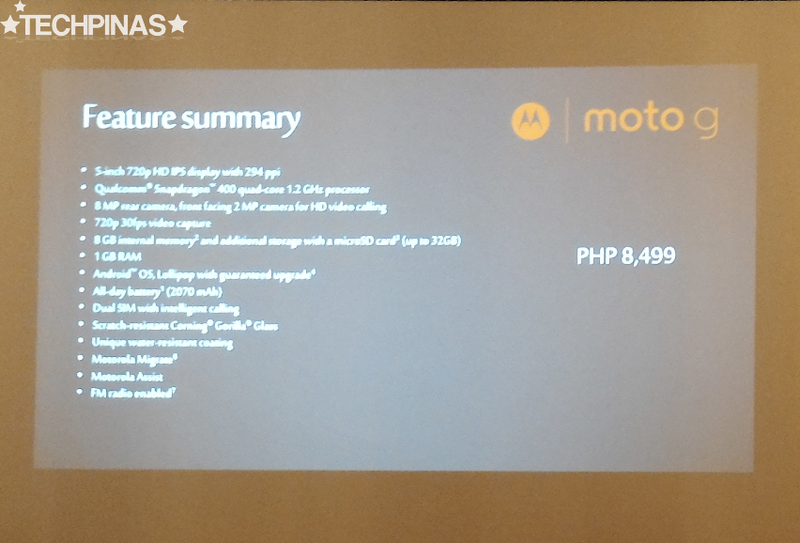 That said, I'm delighted to see a major international electronics brand like Motorola re-entering our country to offer Pinoys top-notch devices in every price point. 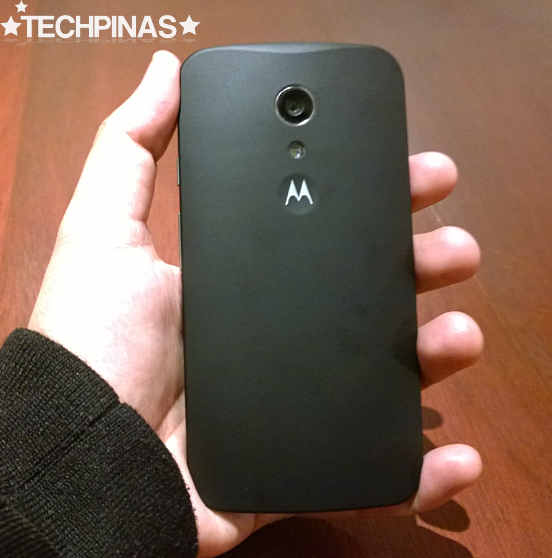 Welcome back, Moto!